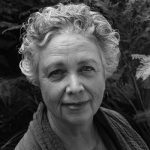 Wendy Drexler’s poems have appeared in Barrow Street, Mid-American Review, Nimrod, Off the Coast, Prairie Schooner, Salamander, The Hudson Review, The Worcester Review, Valparaiso Poetry Review, and other journals. Her work has been featured on Verse Daily, WBUR’s Cognoscenti, and in the anthologies Blood to Remember: American Poets on the Holocaust and Burning Bright: Passager Celebrates 21 Years. Her first full-length collection, Western Motel, was published in 2012 by Turning Point. A new collection, Before There Was Before, will be published by Iris Press in March 2017. A three-time Pushcart Prize nominee, Wendy has been a poetry editor for the Massachusetts Audubon Society.